Warcross has been getting a lot of good buzzes. I cannot wait to jump into this book. My inner gamer is just jumping up and down. I literally cannot wait to jump into this especially because I really liked Marie Lu's The Young Elites. The writing in this book is hard to describe. It was definitely good but it had enough detail but at the same time it was lacking in detail. I loved how Lu described the virtual world but when it came to the real world, it lacked detail. I loved the dialogue and the overall world building. It was incredible. I loved this plot so much. It was so well thought through. I loved how we started with Emi on a bounty hunting job. Things escalated quite quickly and honestly everything seemed like a dream. I loved that the book contained multimedia. We had some text messages as well as a visual representation of the play bar, which contained a player's information. The plot was filled with action and tense moments. I love how unique this worlds. It is was a perfect combination of my two favourite things. I really wish that Warcross was a real game because honestly, it is perfect! I adore Emika. She is strong and honestly a hundred present relateable. So many of her characters so accessible. The characters in this book are fleshed out quite well. The secondary characters had a lot of depth to them. 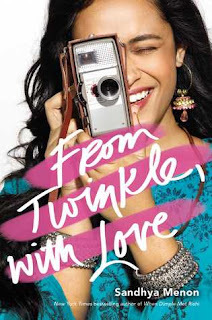 Overall, I really enjoyed reading this book. I loved the writing that emersed me fully in the story. 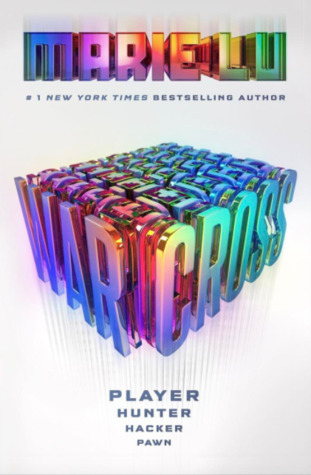 The writing was a lot more detailed when it came to the world of Warcross but Lu softened the detail on the real world. The plot was amazing. It is something that everyone can enjoy. It was full of action but it also had some moments that were swoon-worthy and heartfelt. The characters were well developed and well fleshed out. They could easily become main characters or more predominant characters. Thank you so much to Penguin Random House South Africa for providing me with a copy of this book. I am so glad you enjoyed this! I have been meaning to pick this one up for ages. Also, I love your review format in which you look at the book from different angles.